Hi! 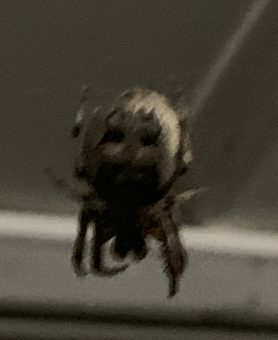 BugmanDan said that is is an orb weaver. Does anyone know what type? The spider left shortly after this picture so it’s the best one I’ve got. I can see why it was difficult to get a photo from the other side of the spider in this situation. It is tricky to ID them ventrally. The colors of the leg bands remind me of Larinioides cornutus. 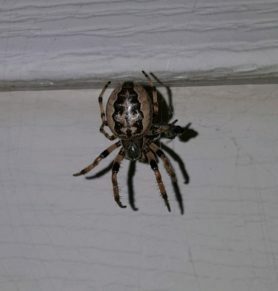 It could be other orbweavers too. Watch as other sightings come in from your region to see what orbweavers are similar. The ventral markings can be used to help narrow it down to genus, I can’t see them well enough in the photo. Keep trying, you’re doing great! Hi. 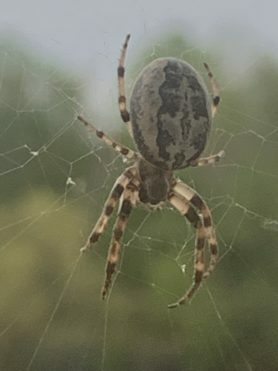 If this helps, many orb weavers hide out by day. Usually from dusk to dawn, they can be found back in their web. should give opportunity to get a better photo. Sometimes these will consume their web before hiding out, these sort, if observant, you can spot them starting a new web, fascinating to watch them build their web. Hi! Thanks for telling me about this but unfortunately the place that i took that picture was at a hotel that we left already so I can’t really get another picture. But if I find any at my house I will watch! 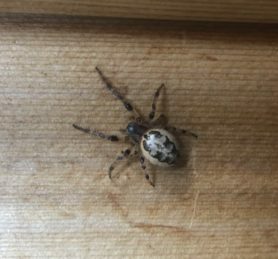 Does anyone think it might be a gray cross spider? 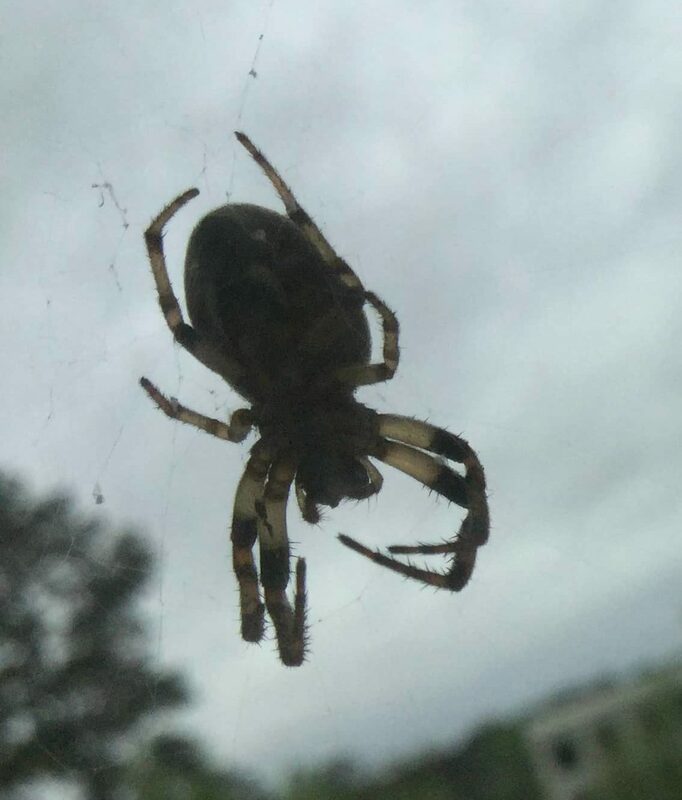 Google says it is a large orb weaver that is commonly found on man made objects near light and/or water.